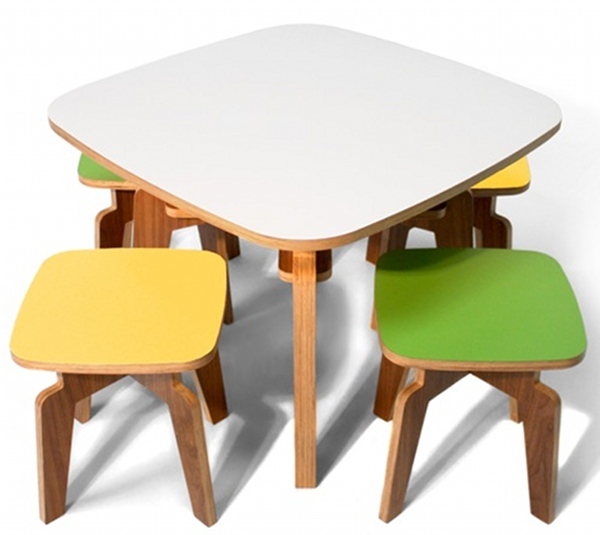 We sure are suckers for a great kid table and stools – let’s face it, this furniture is used day in, day out in the life of a young family and needs to be built to withstand whatever a bunch of toddlers can throw at it. Meet the very spectacular set by Studio Concept Project One – just look at those luscious legs! Gorgeous retro styling with the warmth of wood and durability of Formica, this would be a welcome addition for any house-proud parent. Our kiddie table doubles as our coffee table so it just had to be good-looking, as well as able to last the distance after the kids have outgrown it. The table in the Studio Concept set comes in white only but you have the choice of five colours for the stools. 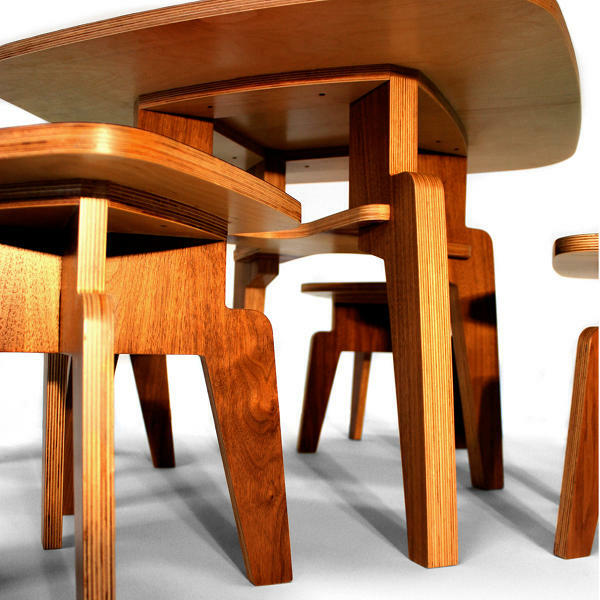 It’s US$584 for the set, or you can buy the pieces individually – $256 for the table and $88 for each stool – from Studio Concept Project One. You can have a set shipped to Australia!